It’s been around two and a half weeks since I last posted, a long time I know. The picking has been pretty slim, partly because of the terrible weather (too much snow, then intense cold) and partly because there just hasn’t been much to find. Being stuck inside due to the weather and not having any finds to write about has left me with too much time on my hands. I’ve done a lot of reading, which is nice, but I’ve also been fairly bored not being able to “work.” I also get more anxious about money because I see expenses going out but not much coming back in. It’s motivated me to get more things on Ebay but that also means I have less assets to take comfort in having. Still, I’m not too worried yet, worst comes to worst I’ll sell off my scrap gold for less than I’d like (the price is gold has been trending downward) which should pay for a couple of months rent. On the plus side I’ve put more time into my found photography and ephemera blog, now called Memories I find in the garbage. 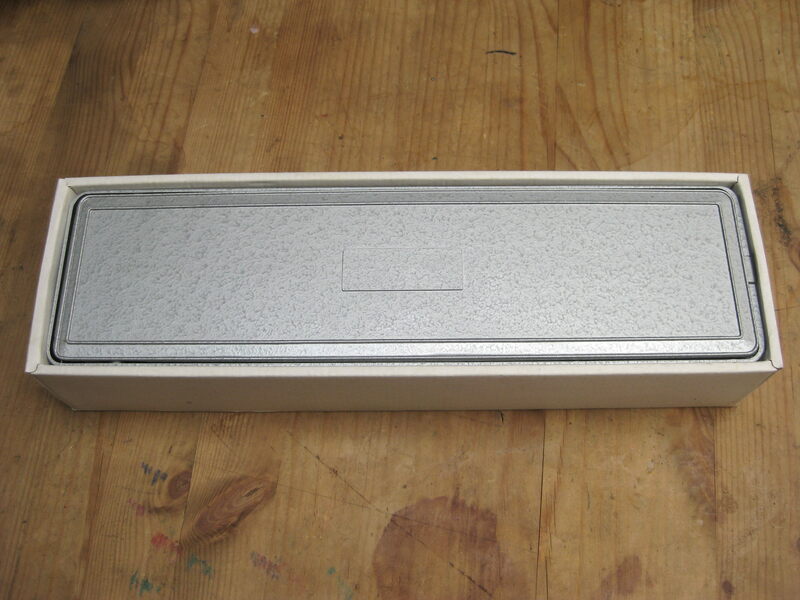 It’s a good way to catalogue and share some of things I might not have room for on this blog. It was fairly cold this morning as well but not enough to prevent me from heading to Ville Mont-Royal for the first time in a few weeks. My haul was modest but it was nice to find anything at all! The pile above sat in front of a house for sale. There were a bunch of books, many of which I put in my bike trailer. There was a copy of Kahlil Gibran’s “The Prophet” which I’m told is quite good. There was also a hardcover copy of Stephen King’s “The Tommyknockers,” a book I read a few years ago and quite liked. I hope to sell a few of the better ones to a local bookshop. This is probably the most interesting book. 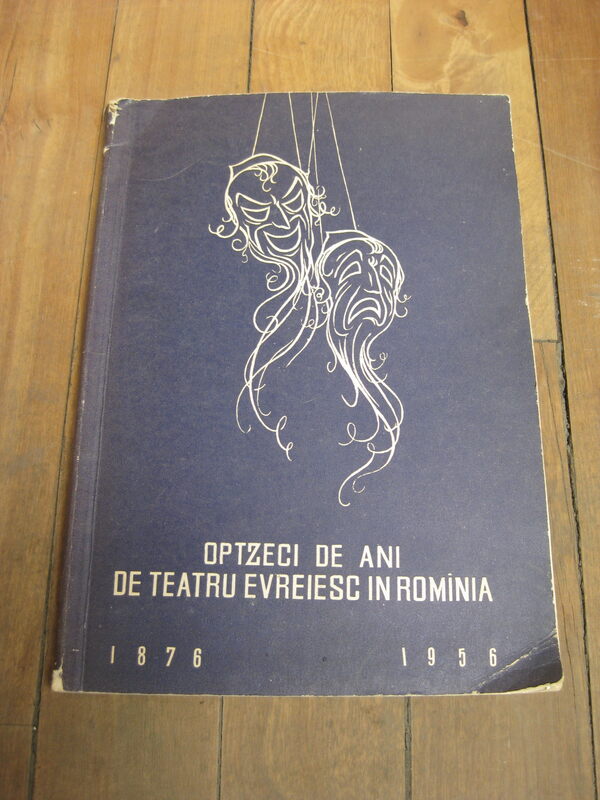 It was published in 1956 and I think it has something to do with Romanian theatre. 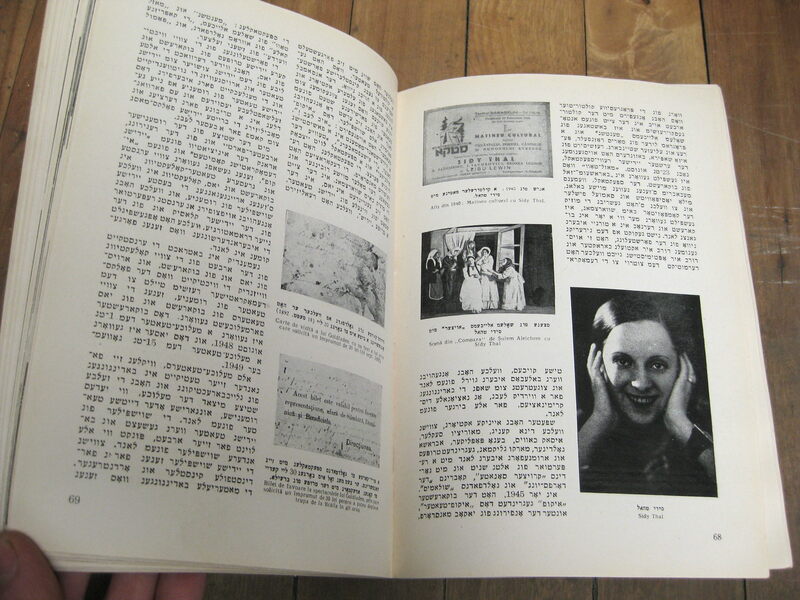 It’s just one of a few different Romanian-language books. It could have some value to a collector. This little toy was in amongst the books. 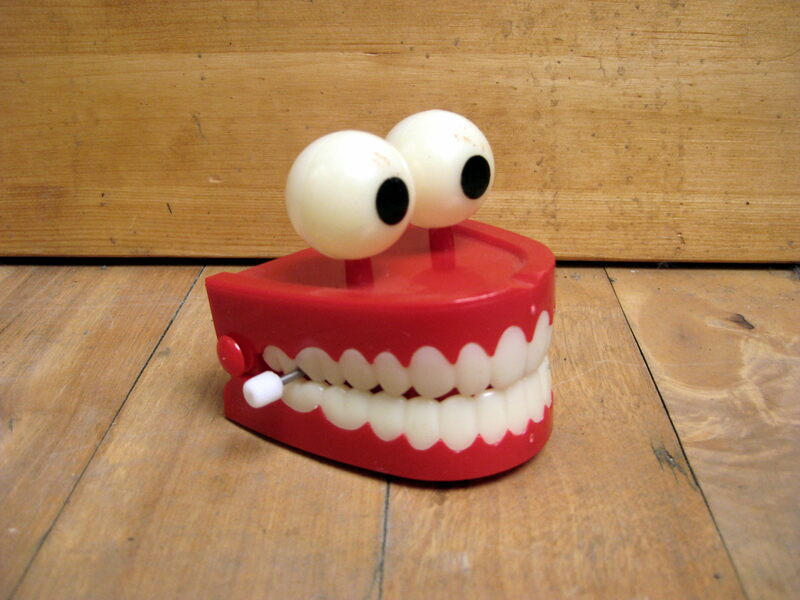 It was in a box given to a dentist, I’m thinking it was probably a joke gift from back in the day. In another spot I found this hanging lamp. I’ve seen this style before, I’m guessing it was popular at one point but I don’t know when. 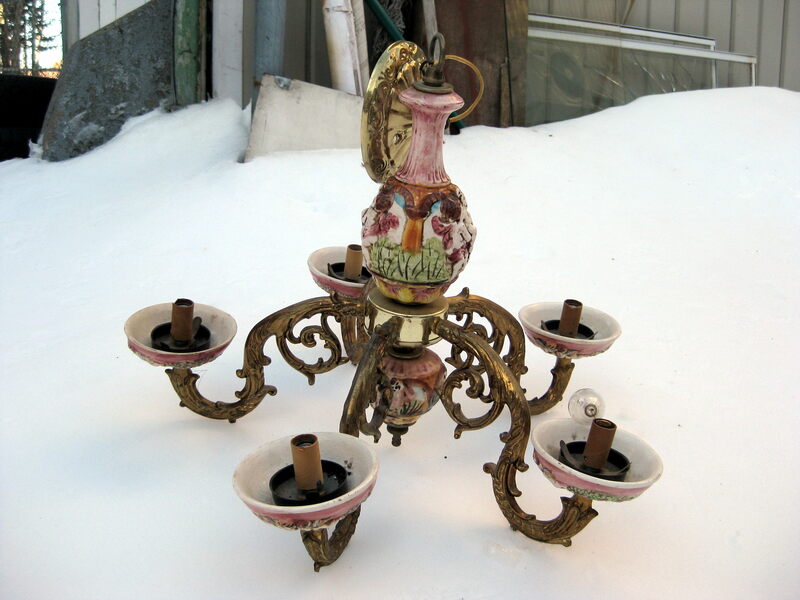 I’d guess it was made in the 70s as a imitation of an older, colonial style but if anyone has any ideas let us know! Who knows, maybe it’s actually really old but my instincts tell me otherwise. This long box was sitting inside a trash can in front of another house for sale. 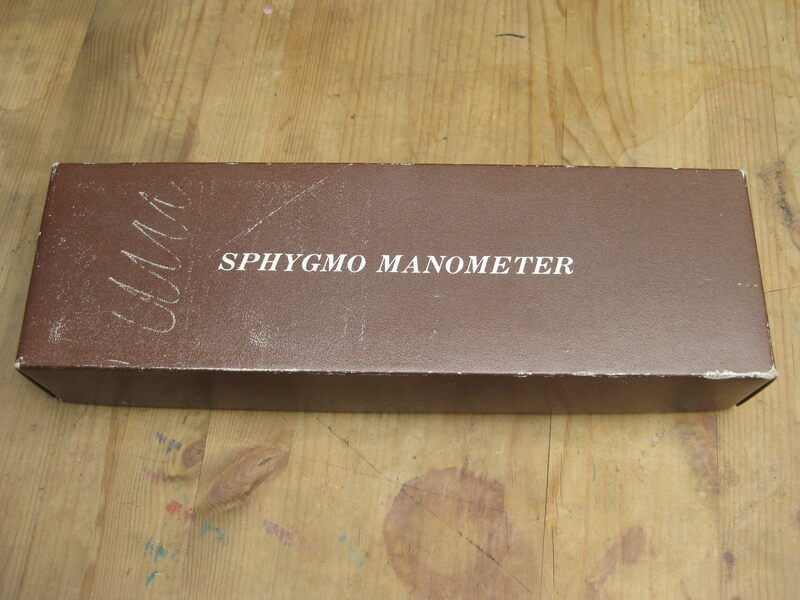 I didn’t know what it was (and seeing the phrase Sphygmo Manometer didn’t help) so I opened it up. …well, a sphygmomanometer, a blood pressure reader in plain English (sphygmo is defined as “of or relating to the pulse or pulsation”). It also comes with a stethoscope. 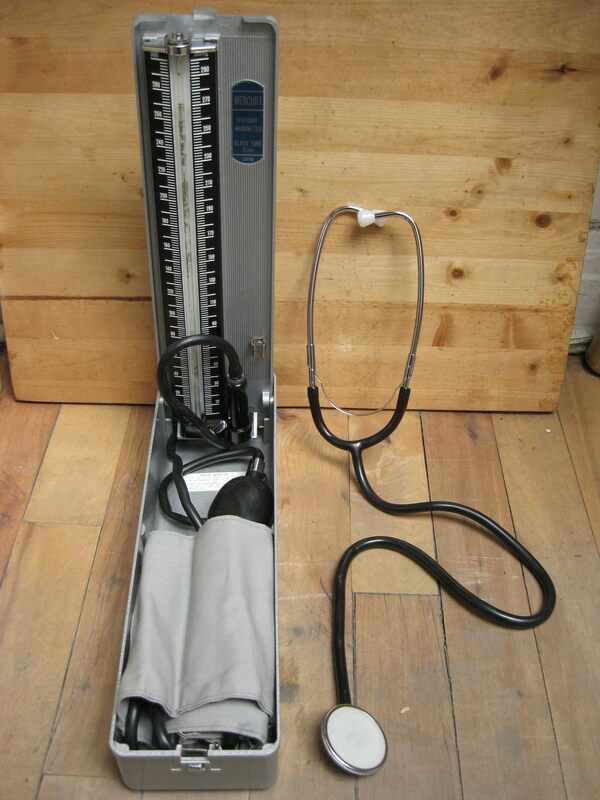 This particular unit measures with mercury, which according to wikipedia is the most accurate of the various manual and digital sphygmomanometers. Everything works fine (though I have no idea how to analyse my blood pressure readings) and appears like-new despite it being probably around 40-50 years old. I thought this was a pretty cool find, something I can have a little fun with. Listening to your heart is interesting, that’s for sure. I could probably sell this for around 20-25$ on Ebay but I’m going to keep it, at least for now. Below the sphygmomanometer in the trash bin were a few plastic bags containing miscellaneous junk. 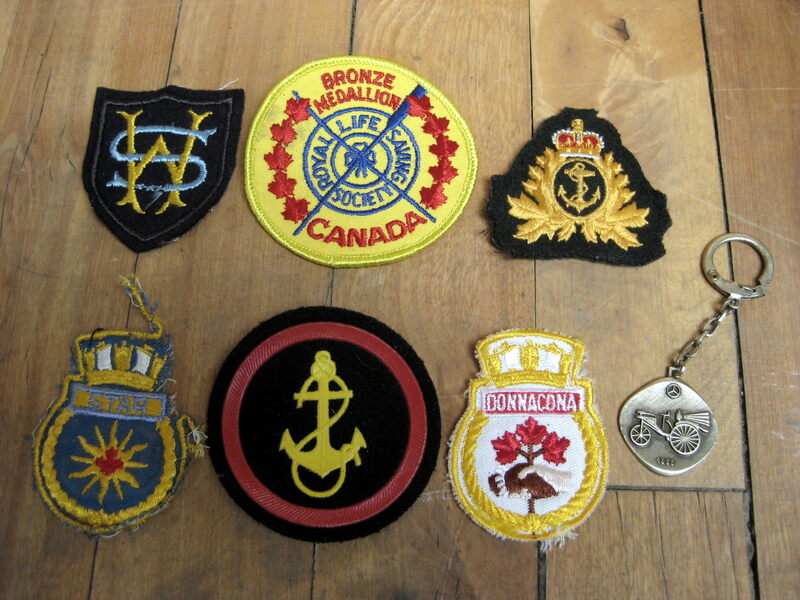 Most was garbage indeed but I did pull out these patches. Some look like they could be navy-issued, others are a mystery (at least to me). If you have any ideas let us know. On the right is a Mercedes key chain, mildly interesting as it’s marked Alpacca, a type of faux silver. That’s all for now. I’m glad to have made a few decent finds. I hope today will give me a bit of momentum as it can be hard to stay motivated during a particularly dry run. Tomorrow morning I plan on going to Rosemont, hopefully I’ll find more stuff to show you! The road looks good for biking. Happy New Year, and I hope you find adventures and excitement, as well as the more plebeian …. grin. that blood pressure “thing” looks to be a great find. 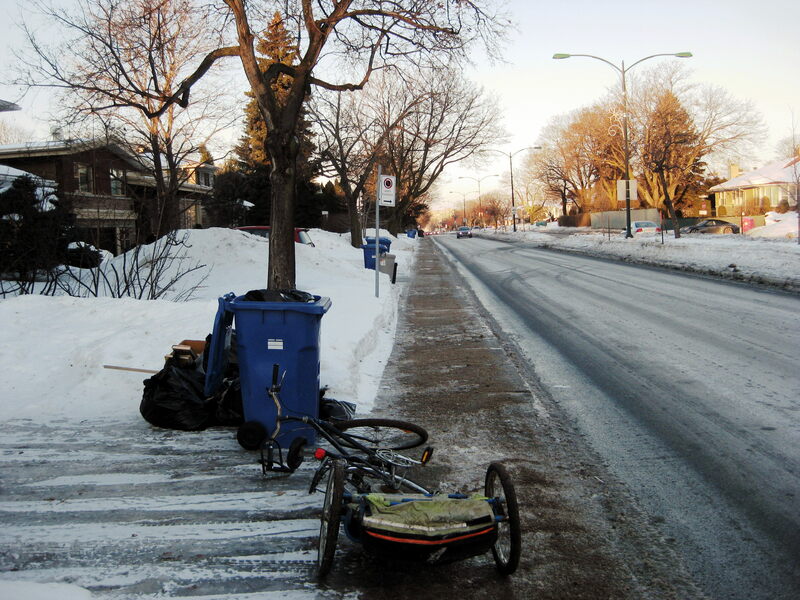 THe winter thaw is coming this weekend and next week.Please go long distances for the next week to scour trash.Check recycling bins as well.If you are looking for quick,easy money also look for cans and beer bottles in trash and recycling bins while walking around.You can buy a lot of food for $10 that you make from recycling cans/bottles. And you end up with a really bulky load to get that ten dollars. recycling bins reflects that low return, just treat the five cents as part of the cost, and put it in the recycling bin. It often is too much trouble (especially when a lot of places that sell full bottles and cans won’t take them back, or you end up having to wait for someone else and their big bag of cans). Once again, cans and bottles that go into recycling bins are not damaging the environment. They will be reused in some form. Indeed, there was a story at some point where some government official said the deposit system in Quebec was too efficient. The system was counting on a certain percentage of cans and bottles not being returned, so the deposit could be used to pay for the operation. I have no idea if that’s still the case, but with recycling becoming so common now, I suspect there is enough “loss” to the recycling bins.